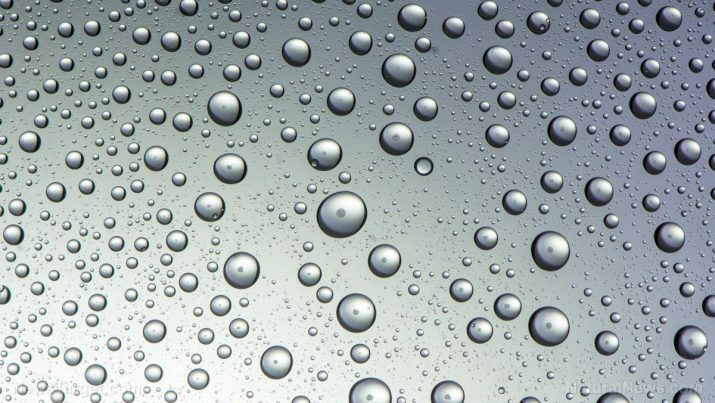 Water-repellent coatings are useful when it comes to keeping things dry, but their fluorinated components are considered toxic to humans and the environment. So Massachusetts-based researchers came up with a new coating that is just as effective, much safer for human health, and can be added to natural fabrics, an article in Nanowerk stated. Massachusetts Institute of Technology (MIT) researcher Kripa Varanasi noted that most fabrics that claim to repel water merely resist moisture. A true water-repellent material will not let water penetrate it. He and his team claim that their coating is even better at repelling water than commercially available counterparts, which are slowly being phased out due to environmental and health concerns. The water-repellent industry has been using long-chain polymers with eight or more perfluorinated side-chains for decades. These chemicals can be absorbed in living organisms and last for many years. Polymers with shorter chains offer a greener and healthier alternative. However, they cannot repel water as well as their longer-chain counterparts. Furthermore, commercial water-repellent coatings are liquid-based. A fabric is submerged within the liquid and then allowed to dry. However, the coating ends up blocking the pores in the fabric, keeping the material from breathing properly. In their study, the MIT researchers selected a short-chain polymer with hydrophobic properties. Additional processing improved its ability to repel water without increasing its persistence and rate of accumulation in biological organisms. Lead study author Dan Soto came up with the idea of applying this polymer to a fabric using initiated chemical vapor deposition (iCVD), a new coating method devised by co-author Karen Gleason. The iCVD process does not involve the use of any liquids. It can also be performed at low temperatures. It produces a thin and even coating that hugs the curves of the fibers. Since the coating does not block the pores of the fabric, iCVD can dispense with the air blowing step. Instead, an optional sandblasting step can be taken to further improve the hydrophobic properties of the coating. “The biggest challenge was finding the sweet spot where performance, durability, and iCVD compatibility could work together and deliver the best performance,” explained Soto. The iCVD method can apply a water-repellent coating on cotton, linen, nylon, and other fabrics. It will also work on paper and other materials that are not fabrics. The MIT team has tested the iCVD process on various fabrics with different kinds of weave patterns. They have also subjected the coated materials to multiple tests, including a standard rain test that is used by the water-repellent coating industry. In addition to the usual water, they also used coffee, ketchup, sodium hydroxide, and different acids and bases. They reported that the coating repelled all of the test liquids. Furthermore, the researchers tested the durability of the coated materials by washing them multiple times and running them through abrasion tests. They observed that the coatings remained undamaged even after 10,000 repeated cycles. And while the abrasion tests eventually damaged the fibers, the coatings were able to withstand the abuse. The MIT team published the results in the journal Advanced Functional Materials. They are improving the short-chain polymer formula. They hope that their technology will eventually be adopted by clothing and fabric companies to make water-repellent gear that will not harm users or the environment. Visit Discoveries.news for more articles about the newest green technologies.